At University of Southampton, campus trade unions rallied with sympathetic students to protest attacks on staff pension schemes. 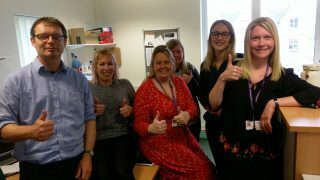 Although only members of USS scheme are currently on strike as part of UCU’s national industrial action, at this university all staff pensions are under threat and in various stages of consultation. 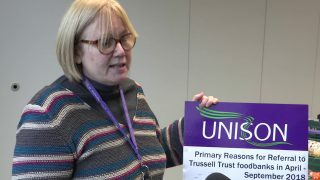 This is why members of UNISON and UNITE in the PASNAS scheme joined with USS academics fresh from the picket lines to denounce attacks on their right to a decent retirement. Around 500 huddled in the snow to hear speeches from UNISON National Officer Donna Rowe-Merriman, Southampton Labour council leader Simon Letts, UNITE organiser Ian Woodland and UCU General Secretary Sally Hunt. What’s going on with PASNAS is the university is trying to cut what we’ve got and just replace it with a cash scheme which… won’t be fit for purpose, basically. It won’t be enough for people to retire on and have financial security in retirement, they won’t know what they’re going to be able to do [and] what they’re actually going to get until they reach the point of retirement. So they can’t plan ahead. It’s not on, it’s not what we signed up for when we started here and it’s an erosion of our pay. The reason I’m out on strike is because of the attacks on our USS pensions. Essentially it’s the marketisation of our pensions and the taking away of institutional responsibility and privatising that responsibility. And also because it won’t enable people to plan for their futures because they won’t know what their pension will be. UNISON members should care because exactly the same thing is happening to the PASNAS pension. So our dispute is also your dispute and we are stronger together. The university want to close the PASNAS pension scheme and open it with a defined contributions scheme. It’s really important this plan doesn’t go ahead… We want to keep the PASNAS pension scheme as it is. 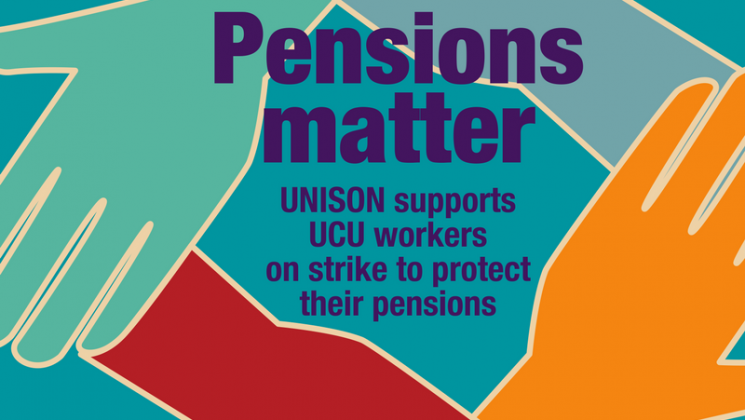 UNISON members should support the UCU strike because their USS pensions are just as crucial… It’s imperative our members support our fellow colleagues to ensure that the universities across the country don’t cut the USS pension. We’re on strike to defend our pension because UUK have decided that they want to take away an average of about £10,000 off a typical lecturer’s pension. And our members won’t stand for it, they’ve had enough. We’ve been casualised, we’ve had no pay rises – everyone’s really angry about this attack on our pensions. I’m on strike today to protect my USS pension and everyone else’s pension and particularly the lower paid and the new comers to the university to ensure we have a secure university for the future. UNISON members should care because they’re coming after the PASNAS pension as well, so if we all stand together we can save everyone’s pension. If we don’t stand together then they’ll pick us off one at a time and we all lose. Basically the university want to close the PASNAS pension scheme and give us a far inferior pension scheme and we’re furious! I’m on strike because the changes to our USS pensions are grossly unfair, they shift the responsibility and risk on to me as an employee away from the employer. And I think that we need some more negotiations. 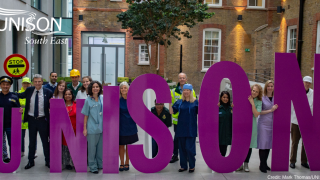 Why should UNISON members care? Well there’s also the changes to the PASNAS that are currently being considered… And it’s also just about being a member of a union, it’s all about having solidarity with your colleagues, solidarity with your workers. And that’s a good reason! UNISON members, particularly here at Southampton, need to be aware that this university wants to do the same thing to their PASNAS pension [as they are to the USS scheme]. It’s terrifying that people on much lower wages are going to have cuts from an already small pension pot. And this university here is making all sorts of arguments about how it can’t afford PASNAS anymore and that you all should just lose your pension rights. UNISON members should care about the UCU strike because it’s all part of the same thing. 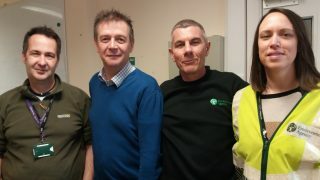 We’re still staff together, we’re still staff that need a pension… Everyone else is saying get back, sort something out, make sure people have got a decent pension. And the employers just won’t do that, won’t go back and talk about it. I want to support the younger people, their pensions. 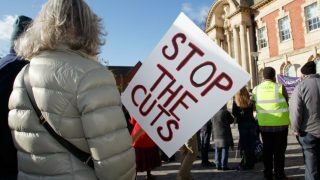 I’m a bit older now, but you know, this needs to be stopped… UNISON should support UCU because they’re our colleagues, they’re our peers…We should stand in solidarity… [These changes] just chop away at the wellbeing of the whole staff body. Visit the UNISON website for more information on our work supporting staff in education.